Our dress belt collection captures the classic look of a traditional belts. 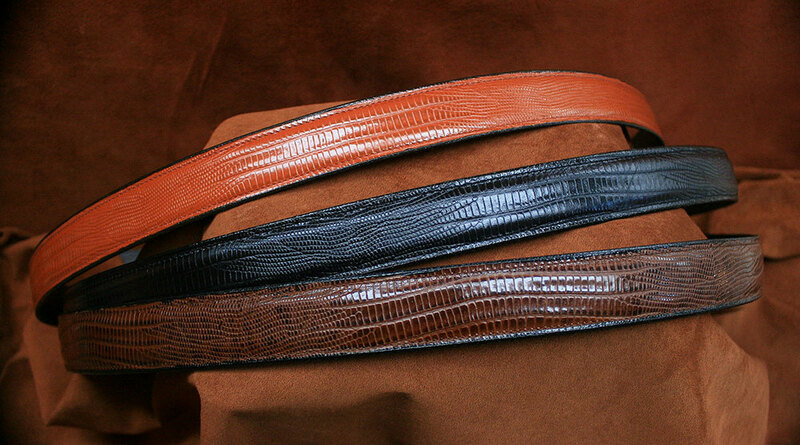 We feather (taper) & stitch the edges of the layered (laminated ) belts to guarantee their longevity. The cowhide strap belts are one piece of 9/10 oz. 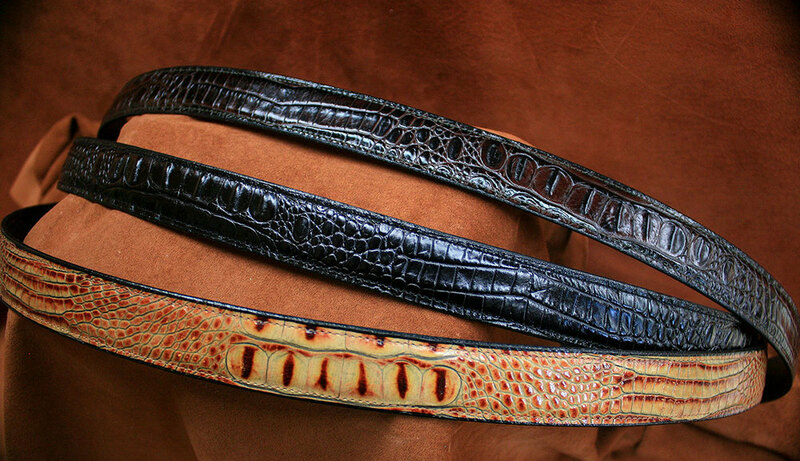 leather for a sturdy long wearing belt. All the belts are priced with just a simple mechanical brass or nickel buckle . All the belts can also be done with any of the buckles pictured on the Simple Buckle or Buckle Set pages, or with your buckle (you will need to send us the buckle so we can size the belt properly). Please contact us if you are unsure how to proceed. The most common width is 1 1/4". Most of the belts are shown that width in the pictures. This width fits almost all kinds of pants, jeans and khakis. 1 1/2" wide is more of a casual or jeans width. 1" wide is a very conservative, dressy width for wear with suits but many men are still opting for the 1 1/4" width as it also looks good with dress wear and can be worn with jeans also.